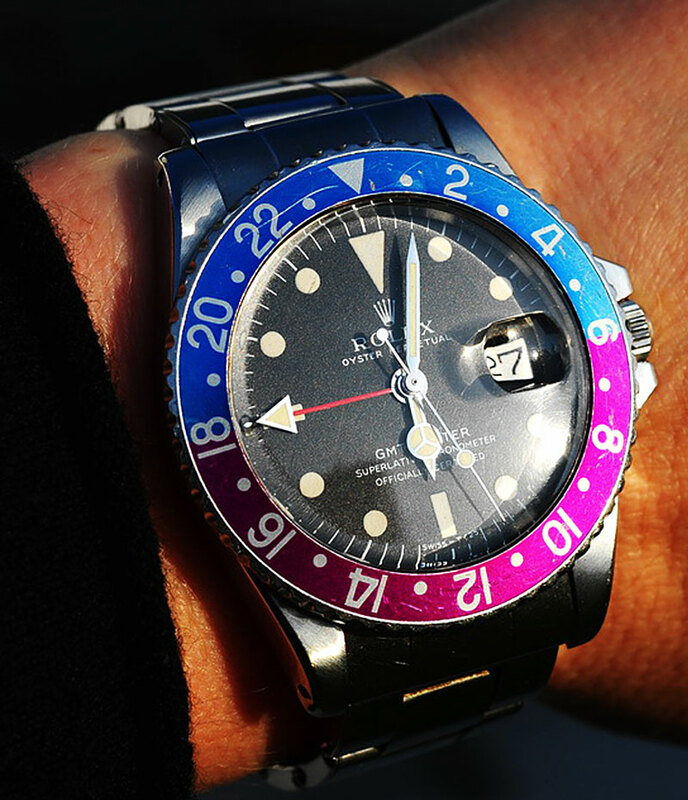 Fredi took this shot at Sunset so he got the great warm light, but what is so interesting is that some of the old vintage Pepsi (Red & Blue) GMT bezel inserts change color and the red changes into a beautiful shade of fuchsia and the blue turns from a cobalt blue into a royal blue. Very interesting color combination!! !